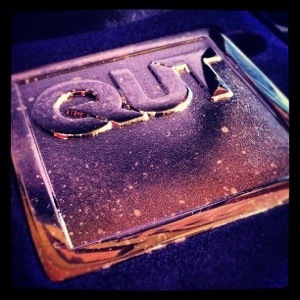 I recently graduated from QUT for the second time. That doesn’t mean I haven’t been back to uni since I finished up my honours thesis. Having completed this first part of my career/learning journey (and being amidst the second phase with starting at a professional services firm as a graduate), I’ve had the opportunity to return to university. Not to be taught, but to teach. Being provided the opportunity to teach was a big achievement for me. Being a student, I found my tutors inspiring. This is what I believe made me want to be able to teach. And I’m lucky to have the opportunity to teach. But teaching is quite a different thing from being taught. It is a different experience. A different perspective. A new way of thinking. Teaching makes you think twice. More than once in my class have I had to pause to think carefully to answer a student’s question. This creates a bit of a tough situation. Having the responsibility of knowledge transfer means you need to know your stuff, and you need to know it well. Regardless of how trained you are, sometimes you are thrown a curveball. These times make you stand back and assess knowledge gaps and development opportunities. What feels like a tough situation turns into an opportunity to grow. Teaching makes you think in more ways than one. Oftentimes, the knowledge you take for granted as a professional is difficult to transfer. This isn’t because you don’t know your stuff. It is likely due to a gap in how you understand something and how your student is able to conceptualise the topic at hand. This scenario forces you to think in new ways to effectively explain content, in turn forcing you to reassess how the topic is structured. The imperative to explain the topic to your students turns into an opportunity to look at something in a new way, which leads to benefits in day-to-day professional practice. Teaching makes you think more deeply. In addition to what I mention in my first point, students often have surprising and unexpected questions. These questions challenge your current thinking. This need to assess what you know makes you reconsider what you know and how deeply you know it. These challenges and reassessments point out areas to explore topics further as both an educator and as a professional. Teaching makes you appreciate what it is to be a student. While you are a student, you know what it is like to be a student. Teaching makes you see what it is like to be a student. Standing at front-of-class gives you a perspective on how tough and exhausting it can be to study. It forces you to think “what is important as a student?”. Knowing the key points to get across is most of the battle of educating. Getting it right lightens the load for students, and reinforces one’s knowledge. Teaching makes you appreciate what it is to teach. This may sound like a recursive nonsense statement. But it is true. Teaching is the only way to really understand the rigour of tertiary pedagogy. Studying is one thing, teaching another. The two must go hand in hand to reinforce and develop the other. What new perspectives have you gained when having to teach someone something new, in or out of the classroom? I was speaking with a colleague and good friend recently. We were considering a report on cloud computing published by a large consultancy firm, with support from a number of big technology firms (the names of which are of the household variety). As my friend and I were talking, we were considering irrational investment in cloud services (among other IT products and services) and why this sort of irrational spending occurred. This took me back to university, where every IT unit pushed the concept of IT people speaking the language of business, rather than our “industry jargon”. This concept was hammered time and time again by countless lecturers and tutors. The discussion with my friend of course triggered us both to consider this little piece of industry “wisdom”. But that made me realise something. IT has learnt to speak the language of business, but business can’t (or refuses to) speak IT. Over my brief experience as a consultant, I’ve seen many businesses heavily reliant on IT to “get things done”. The business expects IT to improve business outcomes and support complex business processes. This must be done on tiny and ever decreasing budgets, minimal staff and with limited input or support from the business. Business just expects IT to bend to the ever-changing whim of the organisation. Often, business will just make decisions for IT, without consultation or even the slightest understanding of the implications of their decisions. The assumption is IT will jump to meet these business decisions. IT knows this “strategic project” will go down the path of the business having unrealistic expectations and assumptions, leading to a less than optimal solution being implemented. Then business blames IT for getting it wrong, all because the business refused to listen to IT’s concerns from the beginning. The ultimate lesson is that unless business quits refusing to listen and actively collaborate with IT, purely-business people will keep making poor decisions and investments on behalf of IT. My recommendation is the business actually start to understand why their IT is structured how it is, the constraints that IT faces within the business, and then actually talks and works collaboratively with IT. I know that leads to better business outcomes enabled and driven by IT. Do you think business works well enough with IT? What gaps do you see between IT and business working properly together? I’m making this post short (unlike the post’s title). After roughly twelve months, I have completed honours. After four coursework units, four research units and acceleration over summer, my 210-page thesis is done and the marks are in. Done. My work was titled A framework for managing multiple vendors in an outsourcing arrangement, focused on IT multivendor/multisourcing practice. Rather than let twelve months and 210 pages or work sit idle, I wanted to share my work. I never wanted my work to be purely academic – it was designed with practice in mind. So here is a direct link to the work should you find yourself inclined to read an academic thesis (the chances are slim I know). Thoughts on the work? I love comments.